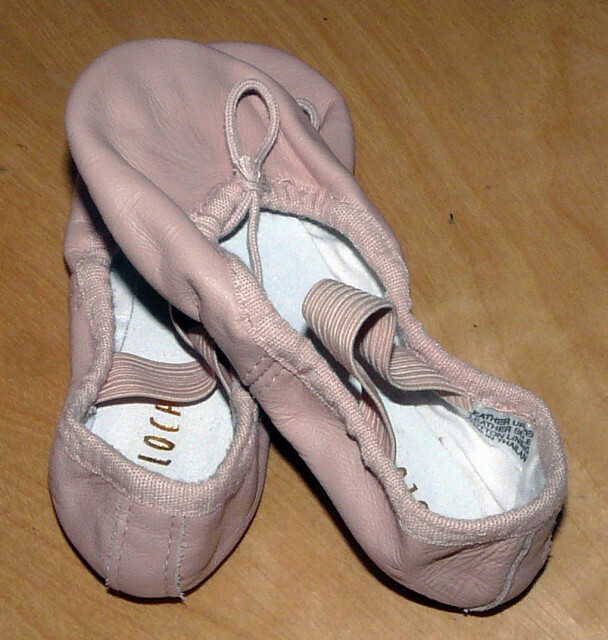 A teeny tiny pair of ballet shoes. My daughter only has size 5 feet and these are the smallest size available! I know there is nothing here for the scale. I did take some pics of them next to a pair of my shoes but I didn't like the way they came out.